Sunglasses with your prescription or without, offer eye protection, improved vision, physical protection all while making a fashion statement. Even on cloudy days the burning rays of ultra violet light can damage the delicate structures of your eyes and your lids. The damaged caused from exposure to ultra violet light is cumulative. First the lids wrinkle and then “crow’s feet” appear. Ten percent of all skin cancers are found on the eyelids. Then there is abnormal tissue growth on the white of the eye, forming a pinquculae or a pterygium, both of which can lead to dryness and discomfort and even surgery. As many as 1,000,000 people develop cataracts as a direct result of exposure to UV light. The macula is responsible for crisp detailed central vision. A lifetime of ultraviolet light exposure can irreparably damage this delicate portion of your retina, at the back of the eye, leading to significant sight loss. Macular degeneration is a leading cause of blindness among older Americans. 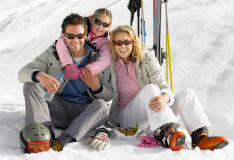 Wearing a good quality brand name sunglass can eliminate these sight threatening complications. Not having to squint can go a long way to improving your vision outdoors. Specialty sun lens filters and colors act like graphic equalizers for your eyes, heightening contrast and improving your vision for your outdoor activities. We can offer specific lens recommendations to meet the demands of your outdoor vision requirements. Wrap around styles can be optically corrected to vastly improve your peripheral vision. Light reflects off everything intensifying the blinding glare of the sun. This bright sunlight rapidly bleaches the chemicals in your retina that trigger vision. The recovery from this reaction is slow and your night vision can be dramatically compromised. Sunglasses can absorb the glare of the sun improving your visual clarity, both during the day and long into the evening. We only dispense ophthalmic quality sunglass frames. These mountings can be professionally adjusted to assure proper fit and comfortable wear and their durability is guaranteed. With your prescription or without we will only use ground and polished lenses manufactured to be free of imperfections and distortions and guaranteed to meet the impact resistance standards set by the Federal Food and Drug Administration. 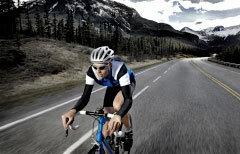 Sport specific styles can protect your vision while improving your central and peripheral vision. Sunglasses are cool. Whether your personality or individual style yearn for a classic aviator from Ray Ban, or a fashion frame with tinted lenses from virtually every designer name, or specialty wrap around style and function from Oakley or the color enhancement styles from Maui Jim we can help you make that fashion statement. If you’re not sure who you want to be, our Licensed Dispensing Opticians can help you with that too. We specialize in polarized lenses which will improve your comfort and your vision wherever reflected light is a problem; on the road, at the beach or near the water. In addition, there are many lens tints (colors) available. Individuals vary widely as to their satisfaction with these lens colors. The best way to find the color that is exactly right for you is to come in and try them on and take a glimpse at the world! Parrelli Optical® features an extensive selection of brand name sunglasses and designer sunwear. Almost every style can be built with your prescription or without. We can even put your prescription in popular wrap around frames providing you with distortion free peripheral viewing. Parrelli Optical® features an extensive selection of sunglasses for fashion and function and we have the expertise to recommend the best sunwear for you!